I’m not a big fan of anything that is touted as making the most money, but that’s what it’s all about. I’m not a big fan of anything that hypes up making the most money but we’re in business to make money. We’re owners and we are in it to make money at the end of the day. I mean, you have to pay the wages after all, right? So I bet you are wondering which part should you spend the most effort on? 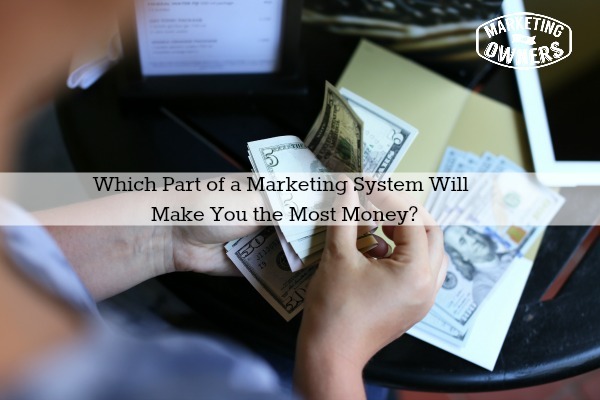 You want to get the biggest bang for your buck right? Here is where I would start. That part you should spend your most time at is customer profiling. No it’s not building your list, it’s not getting the purchase, it’s not the referrals, it’s not the look of your website. If you aren’t talking to the right customer or the right potential customer you might as well not be doing it at all. Direct mailers live and die by customer profiling. You can call it personas, avatars, whatever you like, but it’s knowing the details of your most likely customer. A fantastic offer to a bad list won’t have any effect, but even an average offer to a great list will still do well. The reason is because if the person is not likely to be your customer, why are you wasting your time and effort marketing to them? For example, would you market Volvo cars to nineteen year olds? The answer of course is no. At the same time would you market cigars to nineteen year olds? Again, the answer is no. Would you market bottles of alcohol to nineteen year olds –no. You need to know who, so that you can concentrate. It’s not as tough as you think and it’s something that you can improve on and get better and better at. Don’t think it’s an exact science and don’t think you are going to be an instant expert. Well that’s two types of demographic. Two types of customer, and we’ll come back to that in another podcast episode. We are looking for your most likely customer. My advice is, take your top ten customers, then sit down with a piece of paper and write down everything you know. You may not know how old they are, so take a guess. You may not know what type of car they drive but you might know, so write that down. You might not know if they are married if they got kids but you might, so write down everything, because this will make a difference, and it is worth the effort. Don’t think to yourself “Well I’m not sure.” Ask everyone at work and sit around the desk and do it, put some time in and do it over time. Now once you got that information put it into a spreadsheet and try and find some averages. If you want more information, let’s say on Volvos, so you want to find four of your customers out of those top 10 that drive Volvos. Look up demographics for volvo drivers. You can Google it. In fact , I found a fantastic website from the government called YouGov, where you enter a brand like Volvo or Cadbury’s or a detergent brand or something like that and you’ll get a fantastic demographic. It’s quite clever. Build everything you can about them, everything. Look up in your Google analytics you will find there will be some demographic info in there as well. We think we can because we are men. We think we know what women want, we are useless, at something like that. Ask a woman to go through your copy and see if it works. You must know everything about your customer. It is that time and effort will make you money, ask any successful marketing campaigner any advertiser, any direct mail company. Ask them if they agree that’s the most important step. Work on it, build it, get better. Today I’m going to recommend Kim Garst. You can find her on twitter at @kimgarst. Kim is prolific. She is a fabulous example of how to make social media work. She’s brilliant and you can look at her profile and think “She’s got something like 300.000 followers” but she didn’t when I first saw her and that was not long ago — about two, three years ago she didn’t have anything like that but this stuff, like a snowball effect, it builds. Look at what Kim does, she puts out reports builds, further builds her list she draws people in from her twitter profile look at her facebook and pinterest and everything else. She is fantastic with images, reports, everything. 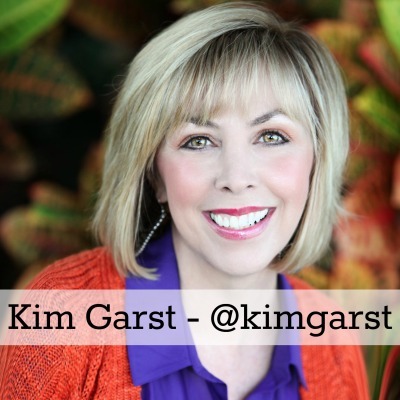 Everything about using social media, follow Kim Garst. I do, anyway. I’ll come up with something good for tomorrow, see you then.